A super pressure balloon is fully inflated and ready to launch from Wanaka Airport during NASA’s 2015 long-duration, mid-latitude scientific balloon campaign in New Zealand. 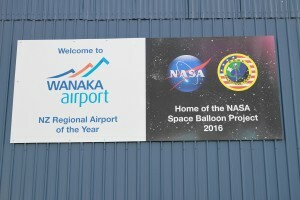 As the location for NASA’s long-duration, mid-latitude super pressure balloon missions, one might ask: Why Wanaka, New Zealand? Six reasons come to mind: latitude, attitude, solitude, duration, weather and night. Some science experiments need to observe phenomena in the sky at locations only accessible by launching mid-latitude balloon flights centered around 45 degrees south latitude. 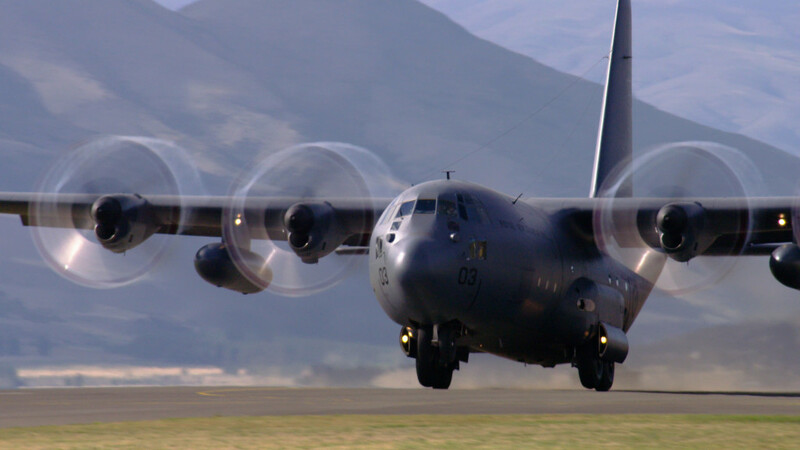 Wanaka Airport, at 44 degrees 43 minutes south latitude, is a near perfect location for these missions. In addition, the galactic center of the Milky Way, which is the focus for many science investigations, is only visible in the southern hemisphere’s mid-latitudes. 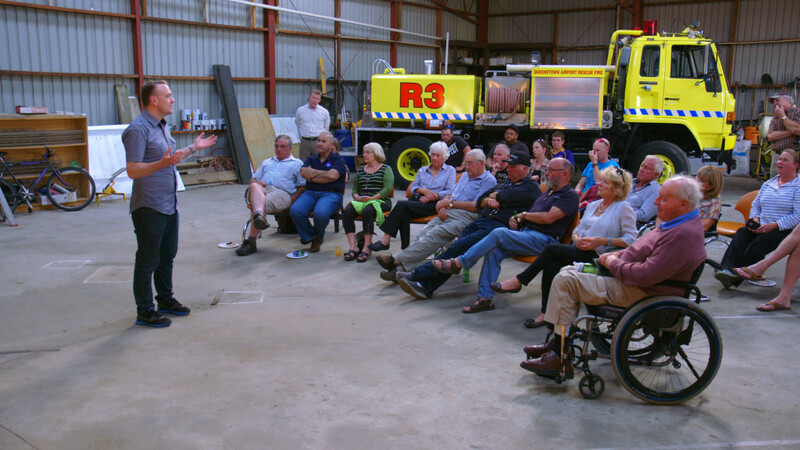 The support from the local community and the airport staff make Wanaka an excellent place to launch. In addition, requirements for a launch location include access to a launch area such as a runway as well as access to heavy equipment, housing for staff, restaurants, support services, and more. While parts of New Zealand are remote, the easy access to all of these areas makes Wanaka an ideal place to launch. From a flight safety perspective, it is much more desirable to fly over unpopulated areas. By launching into the southern hemisphere’s mid-latitudes from Wanaka, much of the balloon’s flight path is over water and the few potential land crossings are largely over sparsely populated areas. The key to flying long duration is to launch into the southern hemisphere’s stratospheric winter cyclone, a weather phenomenon that develops in the fall characterized by easterly winds that produce a clockwise stratospheric airflow about Antarctica on up to mid-latitudes. 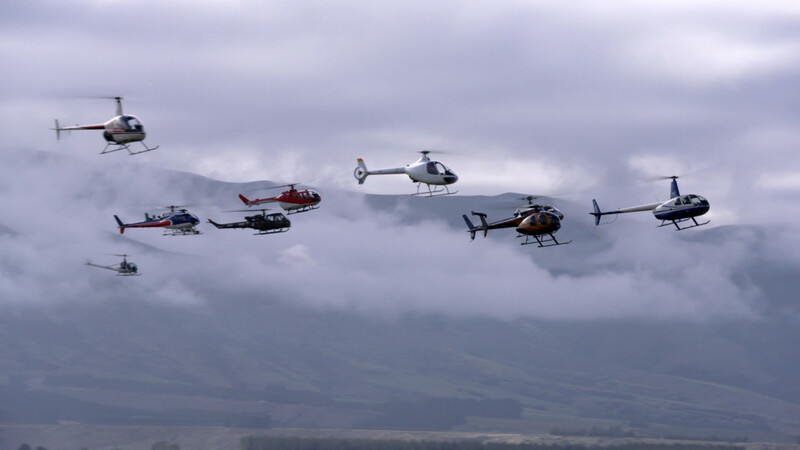 Wanaka’s location enables launches into the stratospheric cyclone during this time of year. 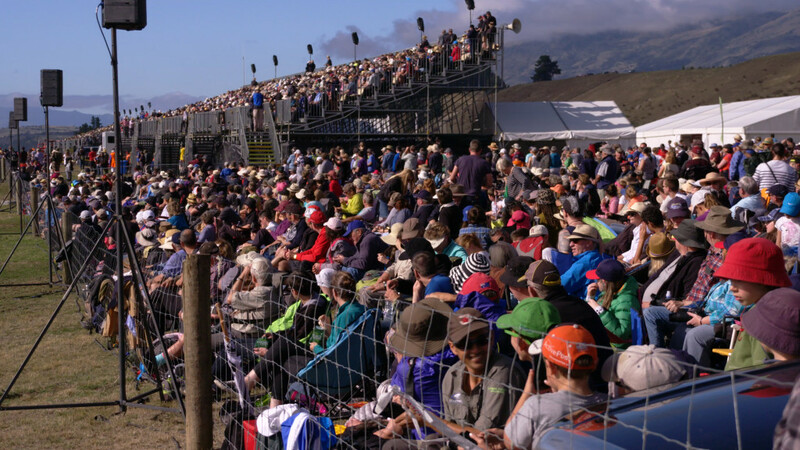 Wanaka offers excellent weather conditions for NASA’s scientific balloon launches. Mornings are often characterized by light winds with a steady, uniform direction during this time of year allowing for more potential launch opportunities. NASA’s other long-duration balloon flight launch locations, Antarctica and Sweden, are conducive for operations in constant daylight. However, some science missions require nighttime observations, often for extended periods of time. The predictable diurnal cycles (day/night cycles) make Wanaka ideal for instruments that need nighttime for observations. 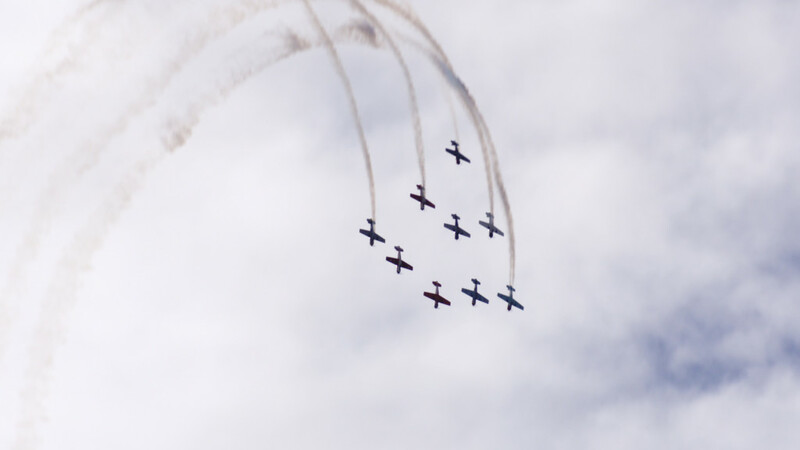 New and vintage planes zoomed over the skies in Wanaka, New Zealand, during the Warbirds Over Wanaka Airshow, a biennial homage to aviation history as well as an aerobatics spectacle. 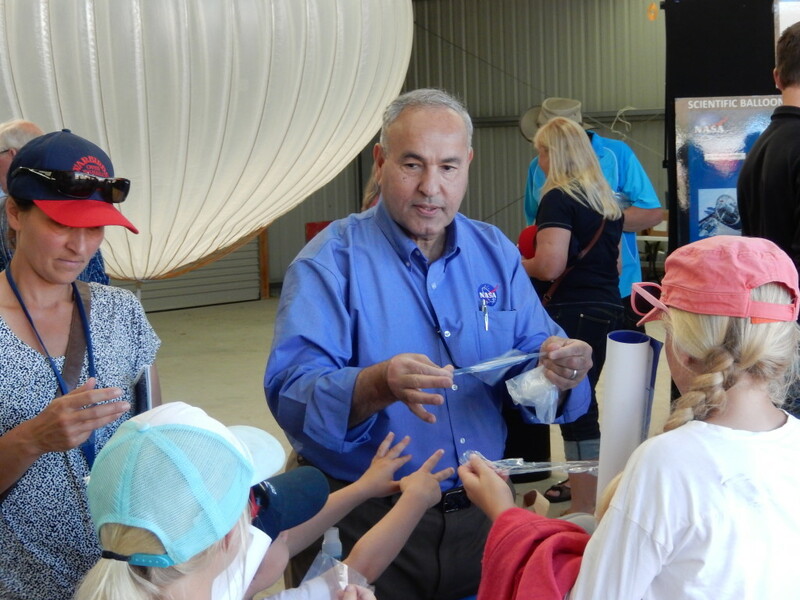 With history a focal point of the event, NASA’s Balloon Program proved a perfect fit alongside the warbirds, serving as a gentle reminder that before the first plane took to the skies, more than a hundred years earlier, there were balloons. Of course, much has changed since the early balloon flights. Instead of smoke-filled paper balloons that defined ballooning’s first steps, today NASA flies enormous, helium-filled balloons, some up to 40 million cubic feet in volume (1.13 million cubic meters). Scientific balloons can carry up to 8,000 pounds (3,630 kg) up to 130,000 feet (39.63 km) in altitude. 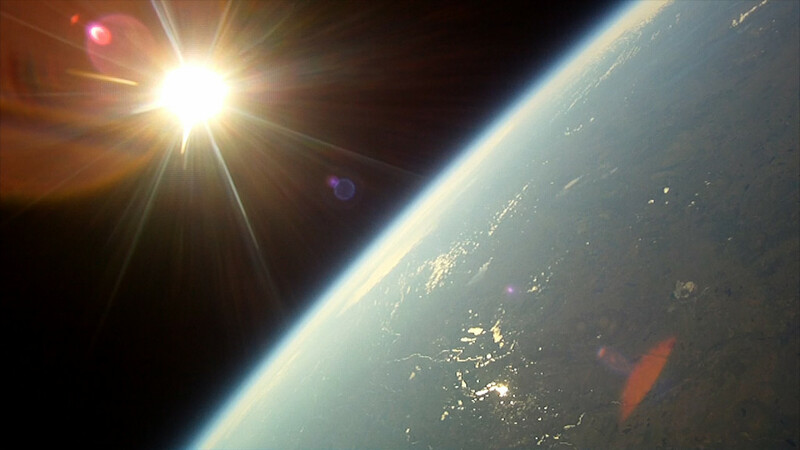 At that height, the balloons are flying in the near space environment, above 99.5 percent of the Earth’s atmosphere. 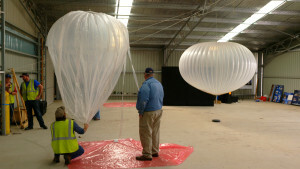 Scientists have seen the benefit of balloon platforms for many years, often testing out new sensors and instruments before eventually integrating onto satellites for launch into space. In addition, the development of long-duration ballooning is opening the envelope for conducting certain types of scientific investigations that otherwise would need to fly into space. 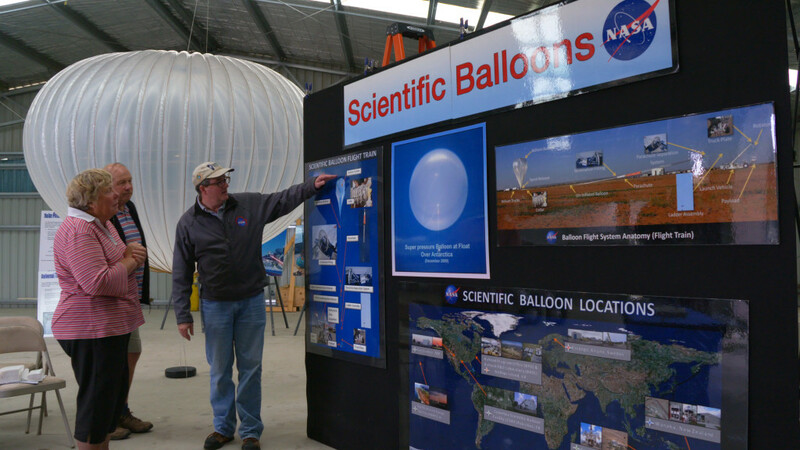 Back to the airshow, which is expected to see some 50,000 through the Easter weekend, NASA set up an exhibit at the Wanaka Airport showcasing the two different types of balloons the agency flies: a zero pressure balloon and a super pressure balloon. On Thursday, March 24, the exhibit was open for local residents to peruse in advance of the airshow. 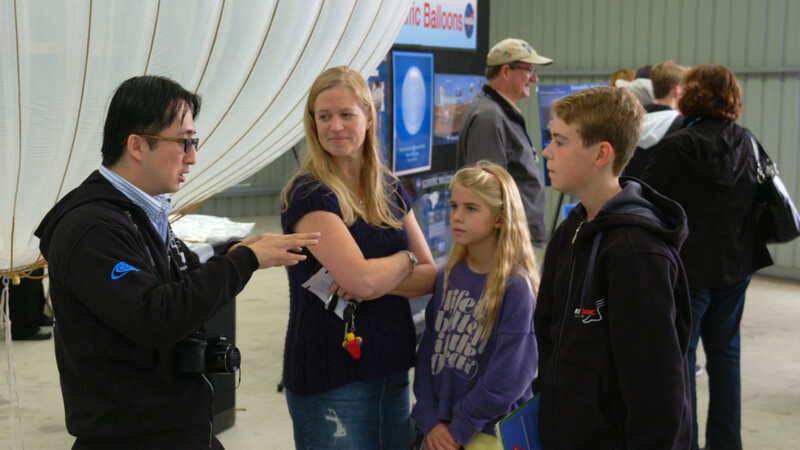 While the airshow officially kicks off Saturday, March 26, Friday served as a full dress rehearsal for the airshow performers, providing an additional opportunity to showcase NASA’s balloon program. Visitors slowly cycled into the hangar containing the balloon exhibit, and as the sun came up and the day got warmer, the crowds steadily increased. NASA’s scientific balloon technicians marked another flight checklist item complete today after joining the base fitting of the Super Pressure Balloon (SPB) to the payload parachute. After making the connection, technicians worked to verify power and signal cables were aligned and properly connected. The team continues to work toward an April 1 launch date from Wanaka, New Zealand. The work today highlights a particularly beneficial aspect of NASA’s balloon flights: the ability to recover the payload after flight objectives have been met. Once mission objectives have been met, but while the balloon is still at float, operators work with NASA safety officials to assess a safe area to terminate the balloon flight. As part of the assessment, officials factor in the real-time position of the balloon, forecast wind speed and direction, and whether or not the balloon is near a population center. After determining the balloon is in a position where public safety will be protected, operators send flight termination commands to bring the payload back to Earth via parachute. Once on the ground, a recover team will go to the landing site to recover both the payload and the balloon. The work completed today in joining the balloon to the parachute and verifying all supporting systems are operating normally is a vital step toward ensuring the ability to recover the balloon payload. Preparations continued throughout the weekend for NASA’s upcoming super pressure balloon flight. 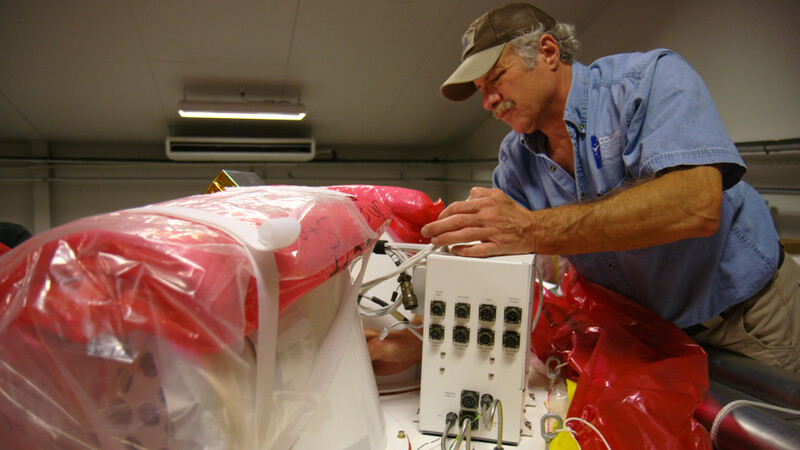 Technicians worked on the top and bottom fittings of the balloon, installing electrical systems and the inflation ports that pass helium into the balloon. The team’s next major milestone is the balloon payload hang test, essentially a full-up launch day rehearsal going through all the tests and checkouts leading up to, but not including, rolling out the balloon and inflation. The test is scheduled for Wednesday, March 23, but forecast wet weather may delay it a day or two. The team is on-schedule and on-track to declare flight readiness at the end of the month, potentially launching as early as April 1, depending on weather. The team has been honored to support a number of outreach events in the local community over the past several weeks. 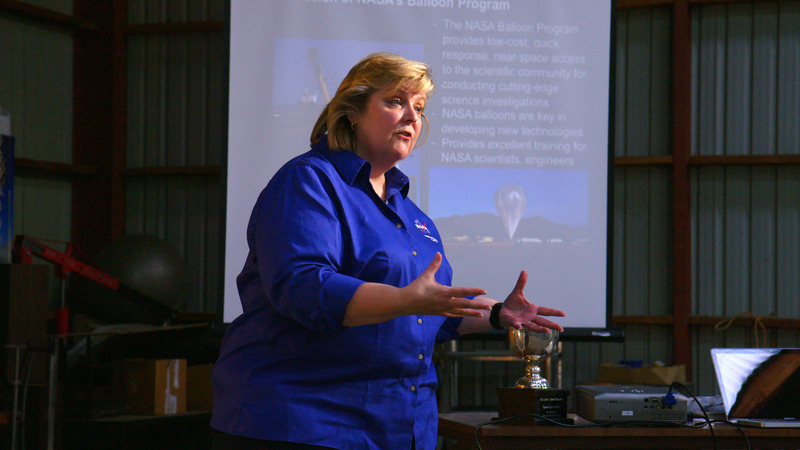 Most recently, Friday, March 18, Debbie Fairbrother, NASA’s Balloon Program Office chief, provided an overview of the Agency’s balloon program to the Royal Society’s Wanaka branch. Some 150 members of the community were in attendance. 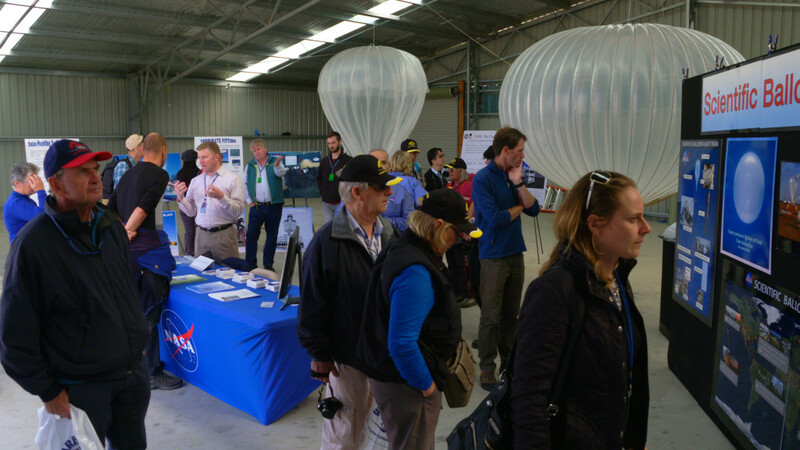 Monday, March 21, NASA’s balloon team along with the Compton Spectrometer and Imager (COSI) team presented to the Wanaka Grandview Club in Albert Town, New Zealand, with about 85 people in attendance. 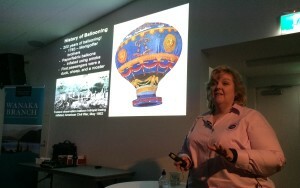 The Balloon Program presented first. 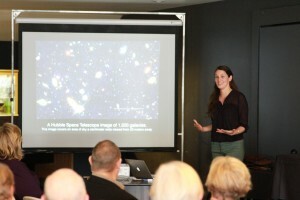 After tea, Carolyn Kierans, a PhD candidate at the University of California, Berkeley, provided the group an astrophysics 101 overview and then discussed the science she and the COSI team, led by principal investigator Dr. Steven Boggs, plan to accomplish flying on the super pressure balloon. 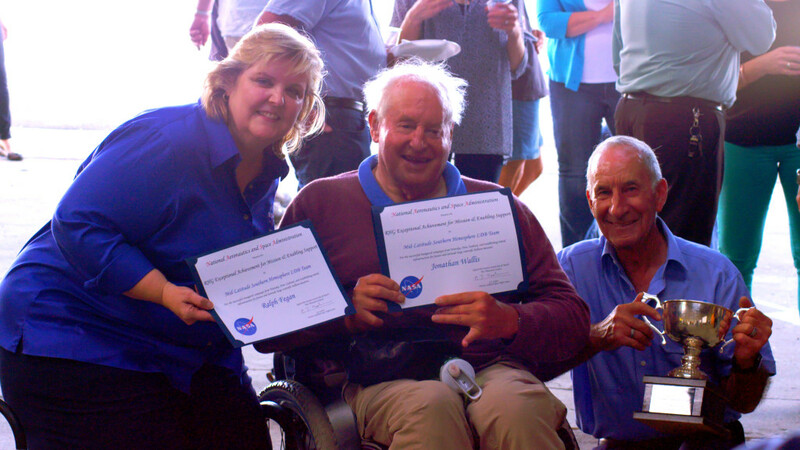 Long-duration balloon flights (up to 100 days or more) are key to scientific investigations like COSI, allowing for extended data collection and observation of difficult to detect, infrequently-occurring phenomena. The team hopes to shatter the current super pressure balloon flight record of 54 days with this upcoming flight from New Zealand. Just like a holiday gift, today was the day to open up the Super Pressure Balloon box. Yesterday, the balloon was placed on the trailer and the trailer was then parked inside the integration building. The box was inspected for any shipping damage – none was found. After reviewing the procedures and making sure all the safety checks were done, the magic moment had arrived to open the sealed box. It was a long journey to get here in Wanaka, New Zealand. Production of this balloon started Oct. 14, 2015, and was finished three months later Jan. 28, 2016. The box was sealed tight and readied for shipping at the Aerostar production plant in Sulphur Springs, Texas. It was loaded by a forklift onto a trailer and driven to Palestine, Texas, (104 miles, 167 km) where it was put in a container to be shipped overseas with some of the other launch support equipment. The Super Balloon was then driven to Dallas, Texas, (113 miles, 182 km) and put on a flight to Singapore (9,706 miles, 15,620 km). From there, it was flown from Singapore to Christchurch, New Zealand (5,220 miles, 8,401 km). Upon arrival, our world-traveling balloon was loaded on a truck and driven to Wanaka, New Zealand (302 miles, 486 km). All together, that’s a total of 15,445 miles (24,856 km) of travel for the balloon before it is ready to flown on a NASA balloon flight. That is a long journey…and lots of time and chances for damage to happen! Unscrewing the lid….breaking the seal around the top edge of the box….removing the lid….carefully opening up the inner plastic liner, cardboard protection, and the last layer of protective film. Everything was perfect! Factory fresh! The balloon had survived its long journey in top shape looking just like it did when the box was closed up at the factory. No shipping damage, and ready for the next steps to prepare for launch. A holiday gift at its best. NASA Columbia Scientific Balloon Facility technicians began processing a super pressure balloon Thursday, March 17, in preparations for launch from Wanaka, New Zealand, on a long-duration flight. The team is working to be flight ready by April 1. While the first step seemed simple enough—placing the shipping crate containing the balloon on a flatbed trailer—with the balloon weighing in at 5,241 pounds (2,377 kg) and the shipping crate itself coming in at just under two tons (3,935 pounds or 1,785 kg)—the exercise was anything but. The container is lined with steel plates to protect the balloon inside, a lesson learned from past missions. 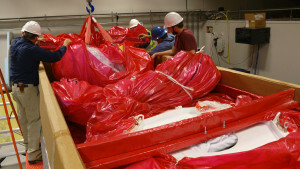 The balloon itself represents a significant investment at $1.3 million, thus the added precautions during processing. The initial lift used a smaller crane, but technicians soon discovered that lifting the load at the distance required from the vehicle was marginal. With safety first in mind, an alternate approach was used. The larger crane on site, the same one that will be used for the balloon launch in April, was in use for various system checks of the Compton Spectrometer and Imager (COSI) payload. COSI is flying on this year’s test flight as a mission of opportunity; once in flight, COSI will probe the mysterious origins of galactic positrons, study the creation of new elements in the galaxy, and perform pioneering studies of gamma-ray bursts and black holes. After the COSI systems checks wrapped up, the team set to work on lifting and placing the box on the trailer, as seen in this time lapse video. Now that the lift is complete, the team can now open the crate to access the top and bottom fittings on the balloon to begin processing. 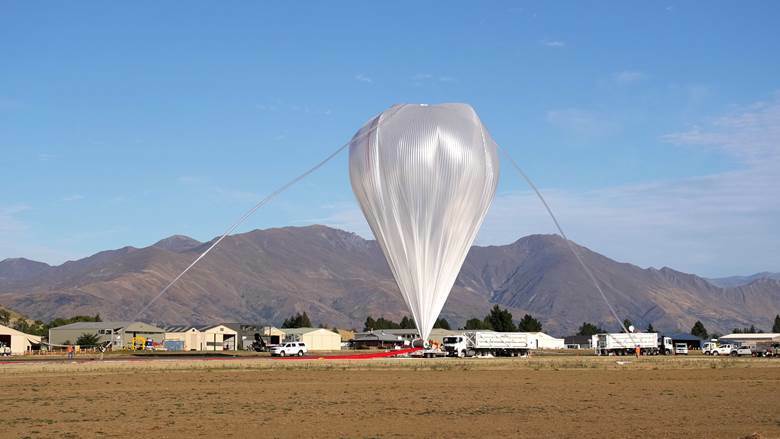 NASA’s scientific balloon experts are back in Wanaka, New Zealand, prepping for the fourth flight of an 18.8 million-cubic-foot (532,000 cubic-meter) balloon, with the ambitious goal of achieving an ultra-long-duration flight of up to 100 days at mid-latitudes. 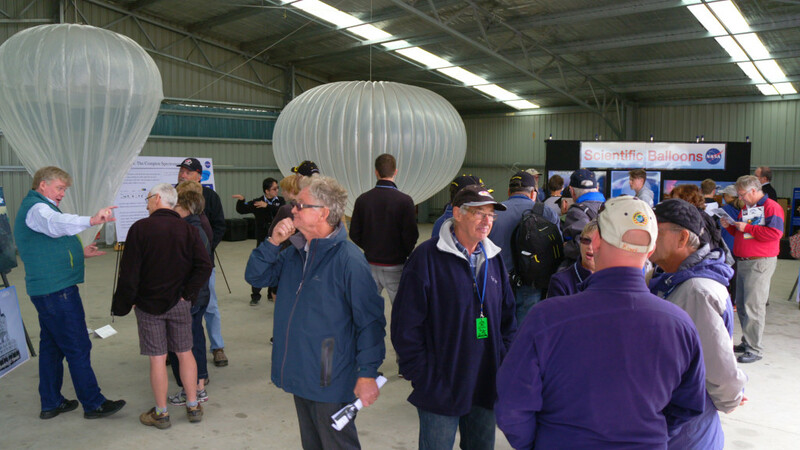 Launch of the pumpkin-shaped, football stadium-size balloon is scheduled for sometime after April 1, 2016, from Wanaka Airport, pending final checkouts and flight readiness of the balloon and supporting systems. 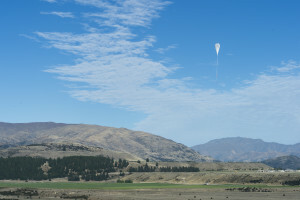 NASA’s Scientific Balloon Program first launched a super pressure balloon from Wanaka March 27, 2015, achieving 32 days of flight in what was the most rigorous test of the balloon to date. This year, the team has made some slight modifications to the fittings at the top and bottom of the balloon. With those changes in place, the team is hopeful they’ll achieve their 100-day flight goal, a goal previously identified by the science and technology communities as key for making SPB a competitive platform for a number of scientific investigations that would otherwise need to launch into orbit. NASA will continue to update this blog throughout the 2016 SPB mission. In the meantime, check out this throwback to our 2015 mission!